Bankruptcy cases vary from client to client depending on your amount of debt, income, expenses, assets and future goals. The first step in the bankruptcy process is to be informed. You do have options! The experienced attorneys at RichLaw can help you decide if filing for bankruptcy is the right choice for you or your business and assist you in making an educated decision about your future. Below are a few Q & A’s regarding bankruptcy. If you have more questions, you can always call our office to schedule a free consultation at (804) 464-3066. 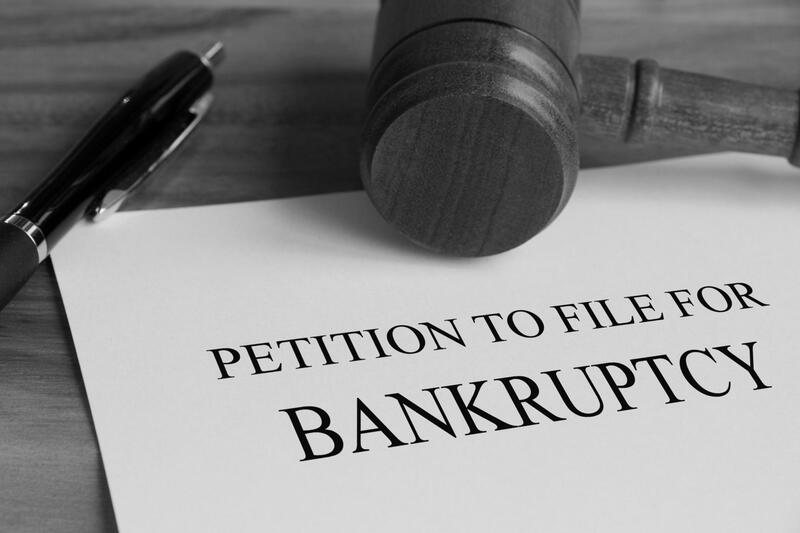 Bankruptcy is a legal process that helps consumers and businesses eliminate or repay some or all of their debts under the protection of the federal bankruptcy court. The two most common bankruptcy chapters are Chapter 7 and Chapter 13. A Chapter 7 is intended to resolve general unsecured debt (credit cards, medical bills, personal loans, etc.). In a Chapter 7, you show that you cannot afford to make payments beyond your necessary household expenses. While you are expecting to receive a discharge of your personal liability on your general unsecured debt, a Trustee is appointed to determine if you have any assets or property that can be liquidated or sold for the benefit of your creditors. Most Chapter 7 bankruptcies are no-asset cases, in which the Trustee does not liquidate or sell anything—either because there is not enough value or because you can protect the assets with available exemptions. A Chapter 13 can help you manage tax debt, mortgage arrears, car loans, as well as the general unsecured debt that a Chapter 7 resolves. In a Chapter 13, you propose a three to five year repayment plan—often paying back only a small percentage of your general unsecured debt. The plan is based on your income and necessary expenses, so you pay what you can afford. The Trustee appointed in a Chapter 13 manages the plan payments and ensures the general unsecured creditors get a fair amount; however, the Chapter 13 Trustee cannot liquidate or sell your assets. A bankruptcy can provide you or your business with a fresh, financial start by helping you manage or eliminate your debts. Resolving your debts will help improve your debt to income ratio, making you more attractive credit-wise for future needs. But in order for the lawyers at RichLaw to answer this question better, we need to spend a little time with you. Once we get a handle on issues specific to you, we can advise you as to what might work best. This is a simple question with a complicated answer. The cost to file a bankruptcy depends on the complexity of the case. Because of this, most lawyers will not quote a price for filing a bankruptcy over the phone, much less on their website. I can tell you this—Our quotes to file a bankruptcy usually consists of two costs: 1) the court filing fee; and 2) legal fees and costs. For Chapter 7, the court charges a filing fee of $335.00 and the legal fee of an average case is approximately $1,200.00 (totaling approximately $1,500.00). For Chapter 13, it’s a bit more complicated—but cheaper to get a case filed. The court charges a Chapter 13 filing fee of $310.00 and the legal fee is currently set by the court at $5,000.00. However, RichLaw usually only charges a total of about $400 - $500 to file a Ch. 13 case (including the court filing fee and initial legal fee) and any remaining fees are managed by the Trustee. No. The Chapter 13 Trustee can’t take any assets from you. Though the Chapter 7 Trustee is able to take assets, RichLaw will thoroughly analyze your assets and apply exemptions to protect your assets. Prior to filing your bankruptcy, we will discuss with you any assets that are at risk and we can help you make an informed decision. It doesn’t take long at all to file a bankruptcy case once we have the information and documentation necessary to prepare the case. Once filed, you’ll have a meeting with the Trustee within about 45 days. For Chapter 7s, your case will usually be finished with a few months. For Chapter 13s, the plan can last anywhere from 36 - 60 months. What happens to my debt in a bankruptcy? Some believe that after a bankruptcy your debt is paid by the government. This is not true. The most common goal of a bankruptcy is to receive a discharge. A bankruptcy discharge essentially eliminates your personal obligation to pay a debt. General unsecured debt (credit cards, medical bills, personal loans, etc.) is most clearly affected by the discharge by eliminating your obligation to pay it upon the completion of your case. Secured debts (car loans and house loans) generally must be paid if you want to keep the property; however, if you surrender the property, any related deficiency is treated like a general unsecured debt and discharged. Priority debt (taxes and domestic support obligations) and is generally non-dischargeable and is not affected by the discharge. Student loans are also not affected by the bankruptcy discharge. We can help you understand which of your debts will be resolved by the bankruptcy discharge and which, if any, will not. Bankruptcy does affect how potential lenders perceive you. But it’s not as simple as saying that bankruptcy ruins your credit. Sometimes a bankruptcy can make you more attractive credit-wise because you just got rid of a large amount of debt or you are in an organized repayment plan to resolve your debt. A good way to look at it is—the negative effect on your credit might be due to the debt you owed, rather than the fact that you are resolving it with a bankruptcy. Bankruptcies are often listed on your credit report for 7 - 10 years, but you’re truly only affected for a few years after the bankruptcy. There is a common misconception that you cannot file for bankruptcy more than once. This is not true. There are no limits on the number of times you can file for bankruptcy; however, you are required to disclose any bankruptcies filed within the last eight years. Additionally, there are limits on how soon after a bankruptcy you can file again. Each case is unique, so give us a call if you’re considering filing again.